Racism, a term used to refer to treating other different from their appearance mainly because of color. It has been in our society since and most predominant in the slave in addition to the colonial period where many blacks were treated inhuman. Social amenities, health facilities as well as religious and other uncontrollable human emotions such as love were to put separation as people of different were literally forbidden to come into any form of contact. The blacks were treated as other animals not having any form of rights and any force would be used against them to prevent any form of revolt or protest. This went on until the mid 1960’s when their rights were put into consideration and started to achieve what whites thought would never happen. More importantly, they had become a great and crucial part of the society and more so people who were their age mates had become so tolerant and had the full understanding that these were men as them and they found out that the form of stigma that had been there was really not necessary. Despite all these great steps that have actually led to the first black president of the greatest nation on earth, Barack Obama, there are some people who still have the racism in them. This is because there are people who do it indirectly or without actually showing it in the open but when situations are what they never expected they come out straight (Epifiano, 2009). The main thing to note is that it goes both ways that is most racist come from across the board; they can either be white, back Asian and even Mexican. This is mainly seen in various scenarios such as social, work places, politics and among other crucial factors such as, law and most recently war on terror. This has been experienced by mostly every race where people of a certain race literally are against dating or mainly marriage across the borders of the races. Let’s start with the blacks or mainly those referred to as the African American. It is really hard for women and girl, to come to terms when a black man from their society gets hitched to say a white girl. All forms of hate and back stabbing talk will arise to not only undermine but to show the displeasure in what they mainly refer as the white girl “taking their now successful black brother” away from them. Such couples find a very hard time in various cases to go out in public, despite the freedom we have, it is not uncommon to see many people starring and talking about such a couple go out somewhere, this puts a lot of pressure on them(Lester, 2006) . They occasionally receive glances as if it is not supposed to happen making it look like they are more of a museum artifacts rather than people. Another scenario that is common is in the Asians, it is very hard to find mainly wealthy Indians intermarry freely with other races. This is because not that the youth do not want, but are mainly coerced into either forced marriages or other really old traditions. They are set to conditions such as if they marry from outside they are cut off from the family in terms of communication and support. It is common in many societies to find them into their own schools as well as other functions that mainly involve them. This has been hard for those who go against the wishes of their parents and relatives as they are believed to shame them and are hence cut off. The main reasons is mainly to protect the family wealth as they have this notion that people from outside will come to use their hard earned wealth to do other things or simply just enjoy it, Hence what matter to them is the property factor and how to keep it with in their race and family at whatever cost. Other cases have been in the white community where they find it equally challenging from their mainly their families and more specifically their parents other older relatives who strongly come out against their unions, they put all form of pressure on them as well as bad mouth them into getting out of such relationships since they mostly believe that say blacks are to no good, or they are not worth (Leslie, 2008). This is really wrong as it leads to people who are not strong willed to doing what they do not want and resulting to them living double lives to satisfy that part of life they feel is empty. This will actually depend on the organization; this is because there are some that employ in terms of races. This is not uncommon in our present times, where you meet say only white, Jewish, black, Asians or even Mexicans working in that organization(Rudolph, 2005) . 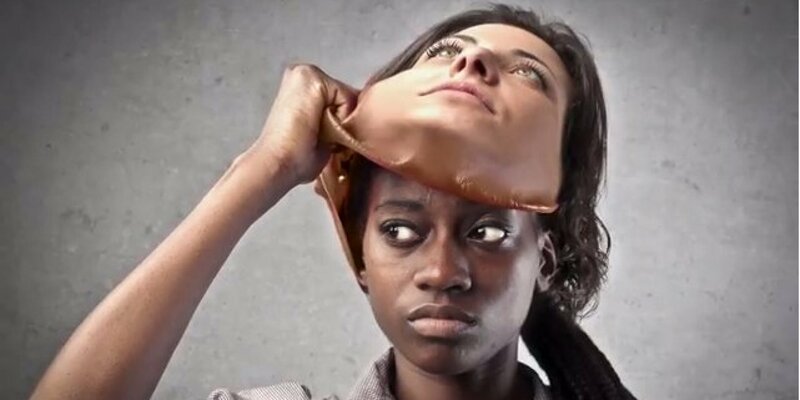 They say it is giving back to “their people” and though they may not out rightly say that its “people” of their race that are only being considered, they will only pick them while other races will find that their applications do not pass. These organizations do not come straight since they will either get shut down or face other legal actions and most likely have their activities boycotted regionally or globally as people know what their true intentions are. Until 2008, it was there in our “great” democracy that no black person would ever lead our nation. It was not until President Barrack Obama won the election that it came to dawn on the American people as well as the world that for the first time, anything is possible. His win was not only expected but also sensational and literally brought many if not all communities together where his charisma in addition to his lovable character brought the nation that was on a verge of a revolution together from one of the worst oppressive as well as unprofessional regimes it had experienced since our country had gained its independence (Earleywine, 20005). It is important to remember during that period that some of the extreme supporters of his competitor Mr. McCain were yelling words such as “shoot him”. This just shows just how ignorant as well as intolerant that people are in the political arena and that they could not actually believe that for the first time that a black person would actually lead them, because we would not have heard such sentiments if Mr. McCain’s opponent was white. This was not the hurdle that the then Senator Obama would face, many of his opponents would occasionally question his birth place, his religion, as well as repeatedly say that the phrase that Obama is just the same as Osama (Cath, 2009). This in a way shoed a really bad picture to our country and globally that we may have had independence for over 200 years but we are still immature, because if it was a white competitor, such ugly and degrading language would not be used. Our legal system is respected worldwide but it is how some of our police officers apply it in a secretarial manner that raises eyebrows, it’s not uncommon to hear a white guy being pulled over for drunk driving and being left to go on after being given ticket. A black person on the other hand will receive a different kind of treatment, even though they do not pose any danger, some go there ready to shoot, and in many cases they will be arrested for speeding. These double standards in application of law as well as justice is really hurting the society in that some people always feel sidelined which is really damaging to the unity of many of our communities and nation as well. It is a scar that is going to form into a very deep wound and most likely bring our country to a crisis not seen if steps are not taken to avert it. After 9/11 the world changed for Arabs and Muslim communities as well. People were literally terrified to board planes with an Arab in it or any Muslim for that matter for fear that was well based their lives. The problem does not come because of that but more so after that period even innocent Muslims and Arabs started having double standards to being employed, studying or even travelling. This did not stop there, after the invasion of Afghanistan and Iraq; soldiers were instructed to shoot to kill almost everybody that they met on the battlefield. The worst being that, innocent children, women and men, have been killed in the thousands, this goes against many of the soldiers moral conducts, and in many ways affecting the standard of our military systems. Many Afghanistan and Iraq war veterans come back changed men but more so with shame and questions about whether, what they did there was justified and worst of all killing of innocent children and women. Many suffer post war stress and to date there have been over 2500 suicide cases by the war vets who cannot come into terms with their actions. Yes we have the right to protect ourselves but we must do it in the right means possible. Up to today there are man Arabs and Muslims that are in custody without trial on the suspicion of being terrorist and even after being cleared of any wrong, there are still being held which is wrong. We have come really far as a country and we have demonstrated to the world how great we are when we come together and that we come back stronger than ever after many challenges that experience. We may have the best of everything in the world, but the main flaw may be our own internal fights and double standard that is likely to bring us down, mainly due to double standards, sidelining as well as profiling will most likely be the thing to bring us against one another and make us more vulnerable than ever. This is because it affects us all across the board.